Even if you're the most spontaneous adventurer, it's still a wise idea to learn a thing or two about Florence before you take off. Circle it on your map, investigate the things to see and do and let the fun begin! 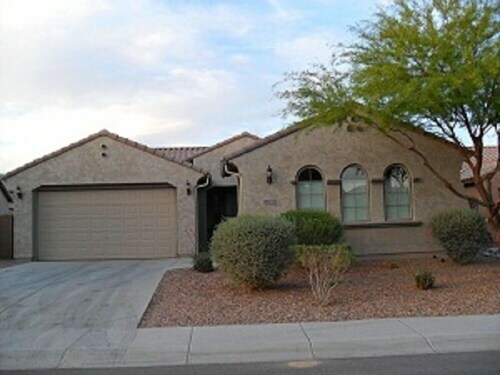 You'll discover this Casa Grande neighborhood 25 miles (40 kilometers) northeast of the downtown area. Ready to meet the locals? 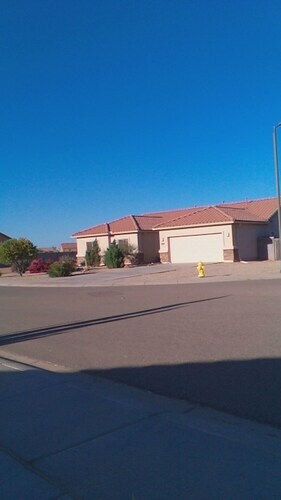 49,000 people call Casa Grande home. There are endless reasons to organize your travels to Florence through Travelocity! You'll save loads if you bundle your bookings, and with no less than 400 partner airline companies and 665,000 places to stay, you'll have a world of choice. Are you looking for a panic-free vacation? Our Customer 1st Guarantee gives you the security of 24/7 personal assistance on all our services. Have you found an even better bargain elsewhere? We'll match the price and refund the difference^. You can never tell when a situation will arise. However, when you purchase a package, we guarantee no cancellation fees from us. 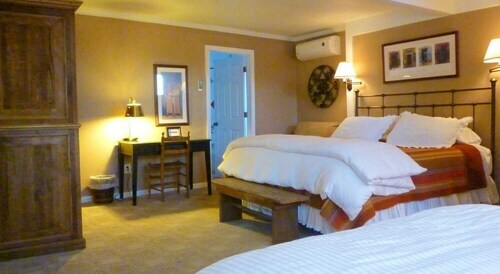 And so long as you get in quick, most accommodations don't charge extra fees either^. Who doesn't want to be in the thick of the action? Choose from our 2 properties within easy reach of central Florence and start planning your must-see list for this appealing neighborhood. Rest your head in comfort at the GreenTree Inn & Suites Florence (240 W. Hwy #287) or the Blue Mist Motel Florence (40 S Pinal Pkwy). Whichever one you decide on, it will make a wonderful base for your getaway. Where do you fly into for Florence? Flying into Sky Harbor International Airport (PHX)? Florence is 45 miles (72 kilometers) from here. Grab a drink, hail a cab and you'll arrive in no time! Can I rent a car in Florence? Getting off the beaten path is an awesome way to experience the local culture. So, why don't you do it from behind a steering wheel? Book a rental car via Travelocity and get ready to turn up the radio in Florence. If you're arriving at Phoenix - Mesa Gateway Airport, you can pretty well pick up a car right next to the runway. It's worth looking into Alamo Rent A Car and National Car Rental. Abandon your history journals! Let the past jump to life at Pinal County Historical Society & Museum. Want some more ideas? A wise man once said 'wine is the most healthful and most hygienic of beverages.' Try the finished product at The Windmill Winery and discover for yourself if you agree. Coolidge is a good place to visit while you are in Florence. You'll find it about 9 miles (14 kilometers) away. 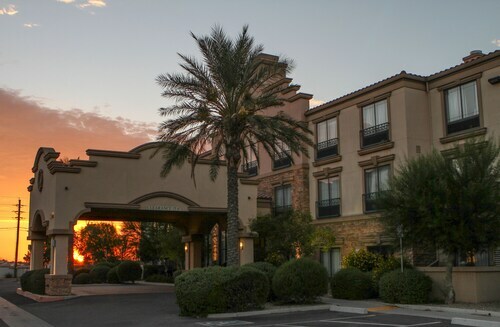 Located in the heart of Florence, this hotel is 0.7 mi (1.1 km) from Pinal County Historical Society & Museum and within 12 mi (20 km) of Casa Grande Ruins National Monument and Poston Butte Golf Club. St. Anthony's Greek Orthodox Monastery is 11.5 mi (18.5 km) away. Situated in Florence, this hotel is 5.4 mi (8.7 km) from Pinal County Historical Society & Museum and 6.4 mi (10.3 km) from St. Anthony's Greek Orthodox Monastery. Poston Butte Golf Club and Casa Grande Ruins National Monument are also within 16 mi (25 km). Situated in Florence, this vacation home is 1.7 mi (2.7 km) from Poston Butte Golf Club and within 12 mi (20 km) of Casa Grande Ruins National Monument and Pinal County Historical Society & Museum. Schnepf Farms and San Tan Mountain Regional Park are also within 16 mi (25 km). Situated in Florence, this romantic cottage is 5.4 mi (8.7 km) from Pinal County Historical Society & Museum and 7.1 mi (11.4 km) from St. Anthony's Greek Orthodox Monastery. Poston Butte Golf Club and Casa Grande Ruins National Monument are also within 16 mi (25 km). Situated in Florence, this historic vacation home is 0.3 mi (0.5 km) from Poston Butte Golf Club and within 12 mi (20 km) of Pinal County Historical Society & Museum and Casa Grande Ruins National Monument. Schnepf Farms and San Tan Mountain Regional Park are also within 20 mi (32 km). Hot Sizzling Nights - Daytime Pickleball - Book Your Arizona Bucket List Today! Located in Florence, this family-friendly vacation home is 1.6 mi (2.6 km) from Poston Butte Golf Club, and within 12 mi (20 km) of Casa Grande Ruins National Monument and Pinal County Historical Society & Museum. Horseshoe Park & Equestrian Centre and San Tan Mountain Regional Park are also within 20 mi (32 km). 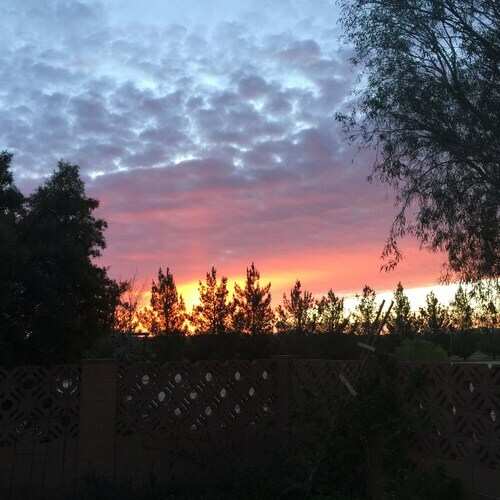 Situated in Florence, this vacation home is 7.9 mi (12.8 km) from Poston Butte Golf Club and within 16 mi (25 km) of Schnepf Farms and San Tan Mountain Regional Park. Pinal County Historical Society & Museum and Horseshoe Park & Equestrian Centre are also within 16 mi (25 km). 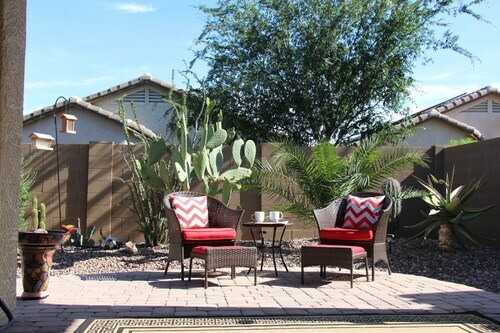 Situated in Florence, this vacation home is 0.6 mi (0.9 km) from Pinal County Historical Society & Museum and within 12 mi (20 km) of Poston Butte Golf Club and Casa Grande Ruins National Monument. St. Anthony's Greek Orthodox Monastery is 12.3 mi (19.7 km) away.